The Danish design consultancy Jacob Jensen Design is behind the Nordic-inspired DANZKA Communication platform, which the jury of Red Dot has awarded for its high design quality and creative achievement. In 2015, the German spirits company Waldemar Behn asked Jacob Jensen Design to revitalise their vodka brand DANZKA’s visual identity to bring it back to its Danish roots. It is the result of this cooperation that has now been awarded with the prestigious German Red Dot Award: Communication Design 2017. The DANZKA visual identity is consistently characterised by a minimalist Nordic atmosphere around the iconic aluminium bottle, a classic piece of Danish design. To highlight its Danish origins, the visuals reflect ‘hygge’ – a cosy, homey feel projecting an informal place for experiencing and enjoying DANZKA. The outcome of the design process is a detailed DANZKA communication manual, a collection of tools to bring DANZKA to the consumer conveying the same feelings with which it was conceived. 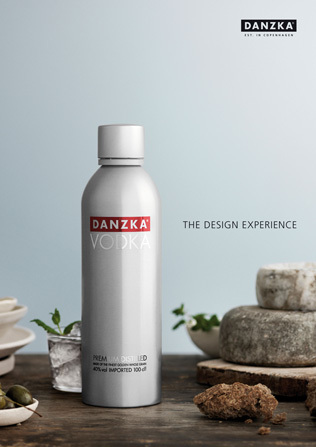 Jacob Jensen Design is also delighted to have once again achieved this renowned award: “We were fortunate that Waldemar Behn trusted us to revitalise their vodka brand DANZKA,” says CEO and Chief Designer at Jacob Jensen Design Timothy Jacob Jensen. “Waldemar Behn dared to challenge the vodka industry and move the brand outside the regular perception of vodka as a party drink only and into the world of high quality spirits. We are honoured that the result of our great cooperation has now been awarded with the Red Dot Award,” says Timothy Jacob Jensen. 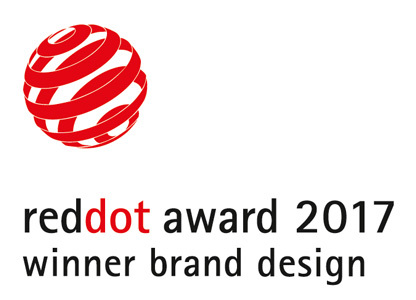 The award ceremony for the Red Dot Award: Communication Design 2017 will take place on the 27th of October in the Konzerthaus Berlin in Germany. The award-winning DANZKA Communication manual will also be presented in the International Yearbook Communication Design 2017/2018, which documents the state-of-the-art global communication design. The book will be published on the 14th of November 2017. The award-winning visual identity focuses on the aluminium bottle as a classic piece of Danish design. Consequently, the entire identity is based on creating a simple Nordic atmosphere around the product to highlight its Danish origins. As part of their collaboration with DANZKA, Jacob Jensen Design have also developed the graphic design for the premium vodka DANZKA THE SPIRIT, launched at the Tax Free World Exhibition in Cannes in October 2016. The DANZKA aluminium bottle was designed by Johannes Thorp in 1989. Timothy Jacob Jensen, Rikke Boe Nielsen, Marina Lothigius and Nital Patel. Jacob Jensen Design has now received 20 Red Dot Awards since 1993.